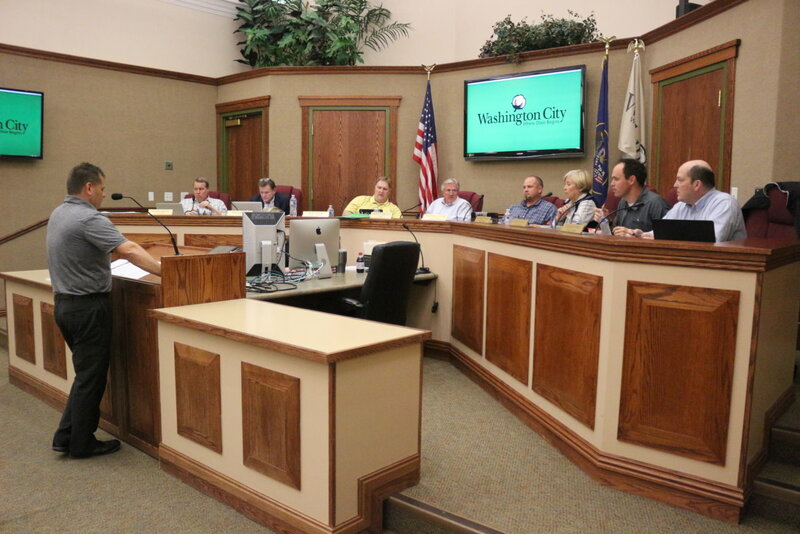 WASHINGTON CITY – Washington City Council last week adopted a $59.9 million preliminary budget for 2019 that includes no tax increases. Highlights include hiring new personnel to accommodate the city’s growth, possible pay increases for existing staff, $12 million for capital projects, as well as a general fund that is slightly less than it was for the current year budget. “It’s a little down this year, but only because we’re expecting a little flattening in our growth,” City Manager Roger Carter said. The 2019 general fund is projected to be around $17.6 million versus the current year’s $18 million. The $400,000 drop is based on projections by the city that residential building permit applications will be lower in the coming budget year. Currently, the city is on track to issue 550 permits compared to the 475 that city staff anticipate will be issued next year, Carter said. The city has been averaging growth of around 4 percent annually since 2013, Carter said. The general fund is largely used to fund city services like public safety, parks and recreation, land development and city administration, among other services. About 59 percent of the general fund comes from sales and use taxes, which are projected to rise by 3.1 percent in the coming year due to growth. Charges for services account for nearly 26 percent of the general fund. The amount collected, however, is anticipated to decrease 7 percent due to an expected decline in residential construction. Other factors include a reduction in one-time use revenue for the Fire Department and less revenue from the city’s golf course due to a part of it being closed for improvements. 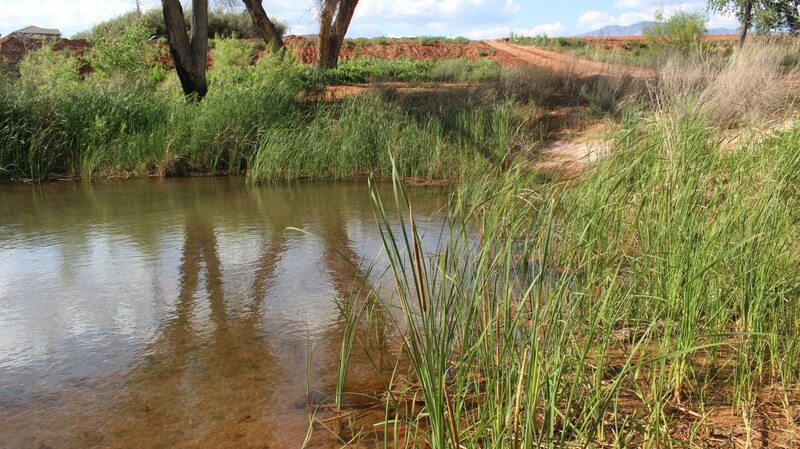 Other revenue streams for the general fund include state and federal grants, license and permit sales, fines and forfeiture, and other sources. Washington County’s current unemployment rate of 3.3 percent – which Carter characterized as “full employment” – has made it harder for the city to retain employees who are drawn to better-paying jobs. “Our concern is we’re losing employees,” Carter said, adding that current employees will likely be receiving performance-based raises in the next year. The average increase is projected to be around 2.5 percent, he said. 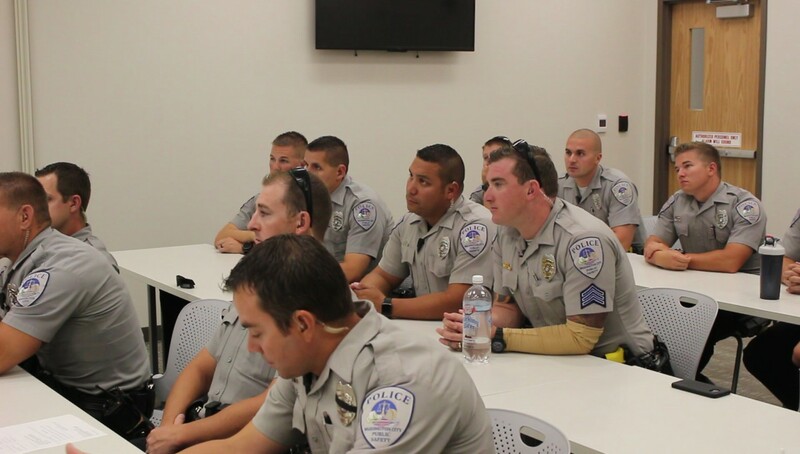 Among the new city hires anticipated under the proposed budget are two police officers to serve as school resource officers for three new schools being built. Other positions include a journeyman lineman, public works inspector and economic services director. Among capital projects of note in the 2019 budget are the Warm Springs Park and trailhead, work on Merrill Road and Washington Parkway Phase 1. Work on Washington Parkway is intended to connect the road from the Interstate 15 Exit 13 interchange to Green Springs Drive. The road will also potentially connect with the “northern corridor” at some point in the future. The Washington Parkway project is anticipated to cost over $6 million, with funds being provided by impact fees, the Dixie Metropolitan Planning Organization and Utah Department of Transportation. The capital projects fund is projected to be $7.3 million. However, the city plans to invest $12.4 million in capital, or infrastructure improvement projects, with the addition funding coming from elsewhere in the budget. Just over half of the proposed budget – $31 million – is dedicated to enterprise funds (also called proprietary funds). Those funds are dedicated to city departments that can be thought of as being run in a businesslike manner; examples are the water and power departments. Other funds include RAP tax revenue (taxes generated countywide to benefit recreation, arts and parks), debt service and other special funds that together account for around $4 million. The proposed $59.9 million budget is available for pubic review online at the Washington City website and in the resources section at the end of this article. Physical copies of the budget are located at the Washington City Offices, 111 N. 100 East, and the Washington City branch of the Washington County Library, 220 N. 300 East. A public hearing on the proposed budget will be held May 23. Funding amounts in the budget are subject to change based on public input and additional review. Much of Washington City roads resemble those of the third world. Not good! City government good old boys should raise developer impact fees to pay for infrastructure improvements. It appears the developers own the the rubber stamp City council. Shameful! Vote them all out. traffic at exit 10 so it would allow more traffic in a over congested area in middleton where nobody wants a water park to begin with.